Investors and financial intermediaries like to complain about regulation, and with good reason. Regulation causes many transactions to be slow, burdensome and costly relative to the perceived benefits. But there’s a reason all of that regulation exists. At one time or another, every market in the world — stocks, bonds, gold, currencies, etc. — has been subject to some kind of fraud or manipulation. More regulation is the typical response. It follows that when a new unregulated market comes along (like derivatives in the 1980s or cryptocurrencies today) the fraudsters are not far behind. Crooks like to make hay while the sun shines and try to stay one step ahead of the regulators. 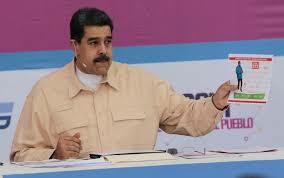 Now comes the biggest fraudster of all, Nicolas Maduro, president of Venezuela. Maduro and his predecessor, Hugo Chavez, have done the impossible. They have taken a potentially very rich petro-state (Venezuela is the 11th-largest oil producer in the world at 2.3 million barrels per day, equal to $138 million in revenue per day at current market prices) and completely ruined the economy. Shelves are bare, citizens are starving and rioting, the currency is worthless and the country has now defaulted on its dollar-denominated debt. What to do? Never mind that Venezuela’s oil-producing assets are already pledged to support the dollar debt. Never mind that U.S. courts would order the seizure Venezuelan oil cargoes on the high seas if Maduro tried to divert the oil to support the new currency. Who cares? There are bound to be some crypto suckers out there who will buy into this. Stranger things have happened.